This is an jazz-funk all-Swedish group giving tribute to the 1970s funk, groove, soul, disco, and afro-beat. Jazz pianist, composer, arranger, and producer Daniel Lantz leads the way, and keeps the dancing shoes clicking. The band merges commercial genres into a type of improvisation that appeals to a wide and diverse section of listeners – from the older to the younger. Although ensconced in more improvisational jazz, Lantz wanted to break away a bit, and move his original ten compositions on this album towards more pop and rock, using synthesizers and psychedelic sounds, along with Lantz’s funky fender Rhodes. 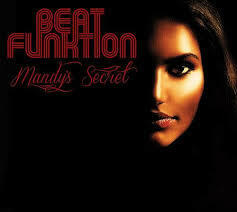 Mandy’s Secret is the band’s third album, released this past September 2014. It has already hit high on USA charts!